At our August GM, David Anderson, a recently retired rock & roll and celebrity photographer, (regularly published in FlyLife Magazine) will be showing us his brilliant work and give us tips to make our fishing photos better. Just in case you don’t know much about the lanky yank we like to call DA, check out his Bio below. He will probably sledge some hipsters along the way. Should be a great night! David was born in Sydney, Australia, but grew up in America after his father, a geologist, moved the family to Boston in 1965 to attend Harvard and thence to Champaign, Illinois two years later where he taught at the University of Illinois. David’s first serious fly fishing experiences were on one of his dad’s summer field trips to Wyoming at the age of eleven or twelve when one of the professors loaned him a rod and reel and showed him the basics of trout fishing with a fly on the Wind River. It’s been a serious addiction and never far from the front of his mind for over forty years. The photography thing started during a trip to Egypt in the early eighties when his mother, a Middle Eastern news correspondent, loaned him a Nikon, a couple of rolls of monochrome film and just enough instruction to make it a lifelong pursuit. David returned to Australia at age twenty in 1984, flyrod in hand, on a six-week holiday where he found people of a like mind, very interesting long-lost relatives and excellent trout fishing not far from Sydney on the Turon River and somehow never got back to the United States. After a few years working in Sydney music stores as a guitar salesman by day, and part-time rock and roll photographer by night, David started full-time photography in 1989 and was soon working for several record companies, music magazines and local bands like The Screaming Jets, Silverchair and many others. Fly fishing photography was, of course, always there, but with the launch of Flylife Magazine in 1995 there were new opportunities to shoot both locally, in Tasmania or in New Zealand. 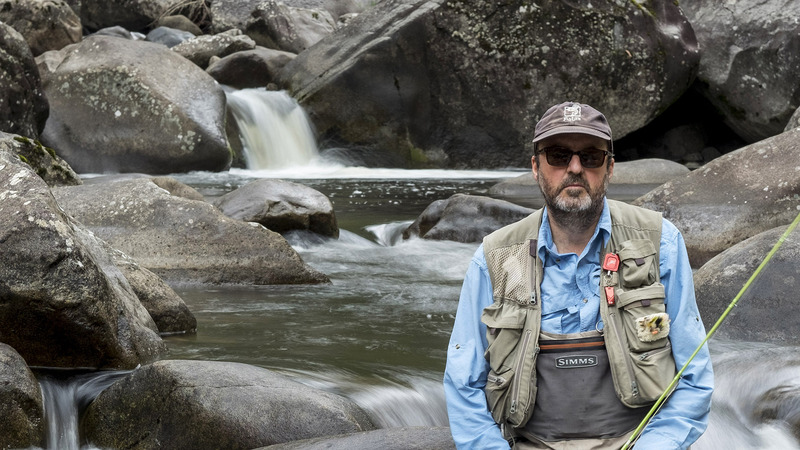 With encouragement from editor Rob Sloane and a lot of help from good mate and fellow photographer/writer Peter Morse, David wrote his first article ‘Cryptic Creeks’ on small streams of the snowy mountains in 2005 and many more have since followed.